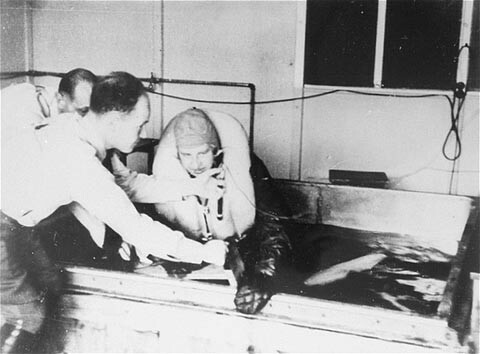 A victim of a Nazi medical experiment is immersed in icy water at the Dachau concentration camp. SS doctor Sigmund Rascher oversees the experiment. Germany, 1942.